In what was propped up to be another bombshell about President Donald Trump and his alleged close connections to Russia, there was a firestorm after The New York Times and The Washington Post reported an “undisclosed” meeting between Trump and Russian President Vladimir Putin. Some are calling it a “secret” meeting, but how secret can it be when it was in a room filled with other G-20 leaders. So there was no press present for this 3 hour long dinner? Nobody took pictures? 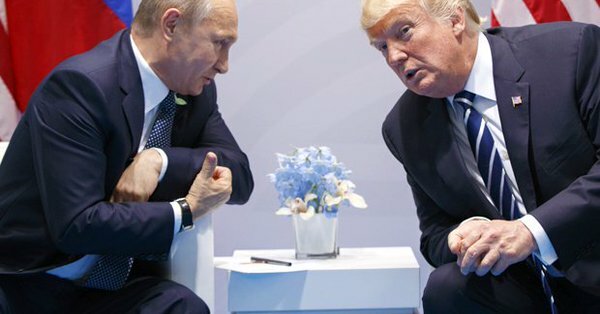 No media saw Trump & Putin chatting for an hour? Even if part way through the dinner, he went over to chat, so what? The MSM tries to turn everything Trump does into something nefarious. Should Trump have disclosed his conversation with Putin to the press? Maybe. The reason why is because since people in the media are desperate to find anything related to Russia to hit Trump on, it would be in his best interests to be completely honest whenever he deals with Russia or Russian officials. Otherwise, this meeting/conversation/shindig or whatever you want to call it, blows up way out of proportion when it looks like it was just after-dinner conversation. Then again, if Trump did disclose the second interaction, we'd probably see the same “RUSSIA, RUSSIA, RUSSIA” hysteria we're seeing now. But to call it a secret meeting, as many have, is just wrong. Using that same standard, almost of the leaders at that dinner held “secret” meetings. I hope that this meeting would be in favor of both countries to start a season of friendship to make world peaceful.